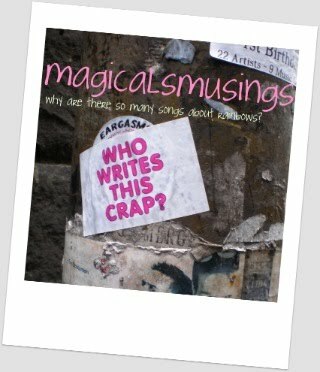 magicalsmusings: How Many Blog Posts Does It Take...? Yesterday turned out to be a bit of a big day for me. I woke up in the morning and, has been my norm of late, reached for my phone to check email, Facebook, Twitter and Instagram. Before I even got out of bed. As I was doing this, it suddenly struck me that I'm wasting a good half hour or more each morning - time that I could spend sleeping in a little longer, or writing, or exercising... doing anything except waste time on social media reading about the lives of people who are really just acquaintances. I really don't know what kicked me into action, but by the end of the day yesterday, I'd deleted all the photo albums and important information from my account, sent an email to the twenty or so Facebook friends who are actual friends, letting them know of my decision, and deactivated my account. Within 10 minutes I'd received an email from one of those friends (who lives in Edinburgh) checking up on me to make sure I was ok and sending me her love; and this morning I received messages from three other friends, supporting my choice. I'm a little intrigued to see if any of the other 300 or so Facebook friends actually notice my absence and if they do, bother to contact me by some other method. Most of them have my email address and mobile number - some also follow me on Twitter and Instagram (which I'm keeping for the moment - foregoing all social media would be too much of a shock to the system! ), so if they really want to know what's going on in my life, it will be fairly simple for them to find out. I don't deny that Facebook has been a great way to reconnect with old friends and keep people abreast of what's happening in my life. But it was starting to take up too much of my life and I've had enough. It's time to get back to basics. Communicate with my friends properly (with the added advantages of technology like Skype of course). If people want to know what's happening in my life, they can pick up the phone, or email, or text me (or even, gasp!, write me a letter!). And, by eliminating Facebook from my life, I can (and will) spend more quality time on the friendships I value most. "How Many Blog Posts Does It Take To Write A Novel?" = how many thousands of words written? It's quite a sobering thought really. Over the last few years, I probably could've written a novel, but instead I've written lots of short things (and nothing of note). I think it's time that changed. When I closed down my facebookaccount a couple of years ago some of my friends thought I was absolutely crazy. How could I even think about it? But do you know what, I haven't missed FB a bit. Not once. My true friends I still keep in touch with through the same channels as before FB and the ones that got lost on the way... well they were the same ones that got lost the first time around. Probably for a reason. So no, I have never regretted closing down my account. Time I spend on other things and on life outside the screen instead. Sit down on the chair my friend and write that novel now. No time better than right here, right now. What are you waiting for? Reading this made me think of this boing boing entry.